Does a carpet get dirty faster after a cleaning? Does a carpet REALLY get dirtier faster after it’s been cleaned? A common misconception related to having your carpet cleaned is that the actual cleaning of your carpet causes it to get dirty faster. This conclusion is usually made when a week or so after having the carpet cleaned, spots that were gone reappear or spots that you’ve never even seen mysteriously surface. Other times, it will just seem like your carpet is attracting more soil. There are some specific reasons that these problems occur. The first is wicking. Many times, and especially in large volume spills the spot has seeped from the carpet fibers in to the backing or the pad of the carpet. When the spot is cleaned from the carpet only the material in the carpet fiber is removed. As moisture from the cleaning itself is introduced in to the backing of the carpet, the spot actually pulls out of the backing and wicks back in to the carpet fibers as it dries, thereby making it seem as though the spot reappeared. The good news is that even if a spot does come back, it can be removed. First, refer to the spot cleaning method we mentioned in this post. When the carpet is cleaned professionally again, be sure to point out the spots that have come back to ensure proper cleaning. Another reason spots return, or the carpet appears to be dingy overall soon after cleaning is known as re-soiling. Re-soiling is caused by a sticky residue that is left behind. The residue may be from the spot itself, the cleaner that was used, or both. If a spot is not fully removed, sticky residue can be left behind. This residue acts as a magnet for soil, making it seem as though the spot has reappeared. Likewise, if the carpet is not rinsed properly and soap is left behind (as is common when cleaning with grocery store machines) the entire carpet will remain slightly sticky and will attract soil. We liken this to failing to rinse all of the shampoo from your hair in the shower. If you leave shampoo behind, your hair will be a sticky mess. The same is true of your carpet. A thorough cleaning should include a thorough rinse. While these are certainly situations that occur, it is not simply that having your carpet cleaned is making it get dirtier. 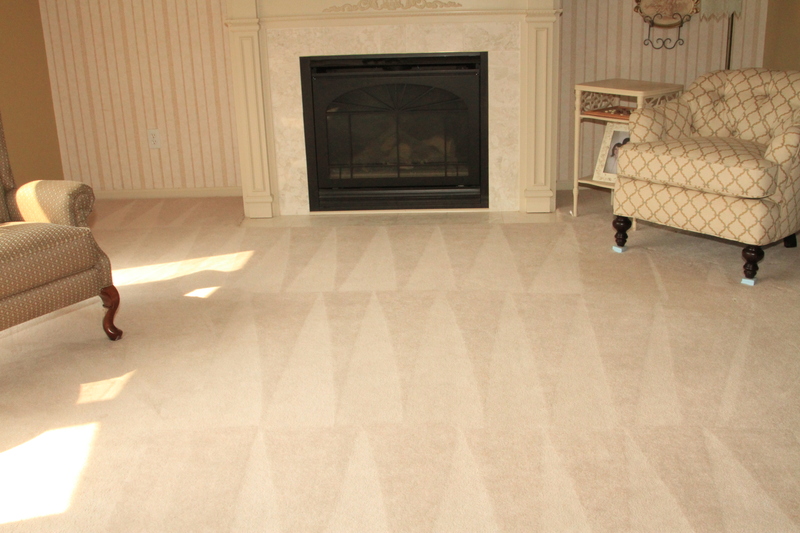 Having your carpet cleaned properly and with the proper equipment should alleviate these issues altogether, leaving you with the great looking carpet you would expect after a cleaning.